I usually prefer the ladies, but I really want to see your snake. 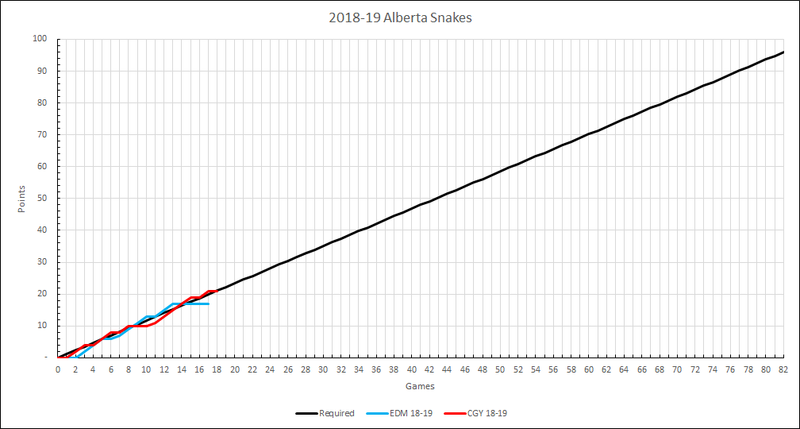 Two wins since the last report means the red snake continues to rise. It has captured 9 out of 10 possible points with a 4-1-0 record in the last five games. This nice win streak has put the red snake at a season high 1.439 points above the black line, 1 point above the orange snake, and 3 points above the purple snake. The red snake is on pace for 104 points. 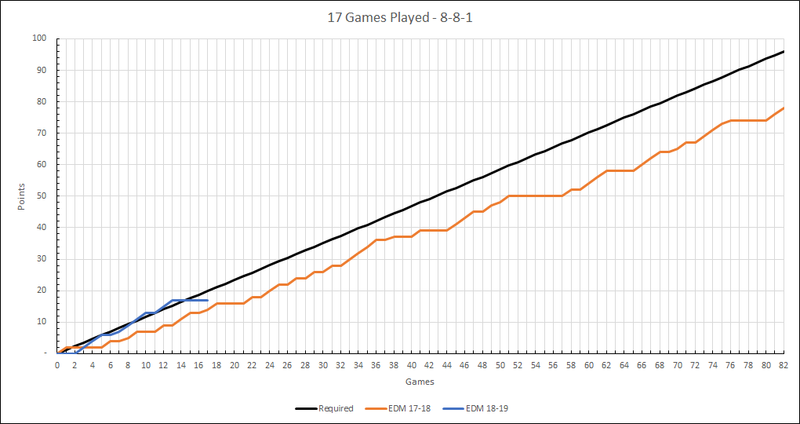 A record of 38-28-1 in the remaining 67 games is required to get 96 points. That's a 1.149 points per game pace or a .574 points percentage. I should have put "Snake" #96 on my retro jersey. 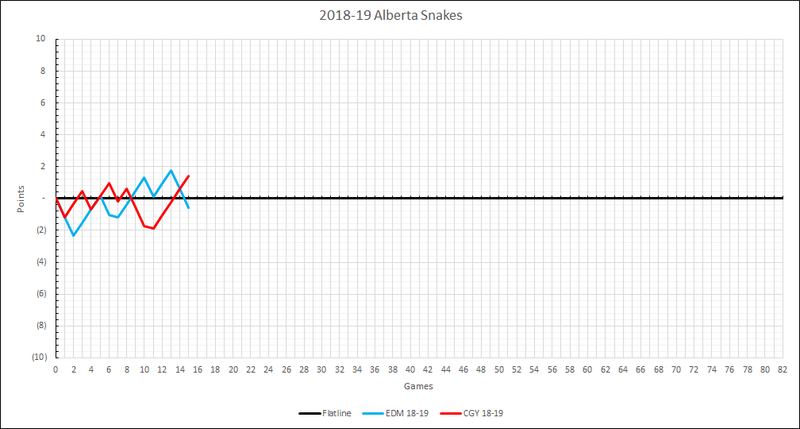 As both teams have played 15 games, here are the Alberta snakes. The red snake is 2 points above the blue snake and 1.439 points above the black line. The blue snake is .561 points below the black line. 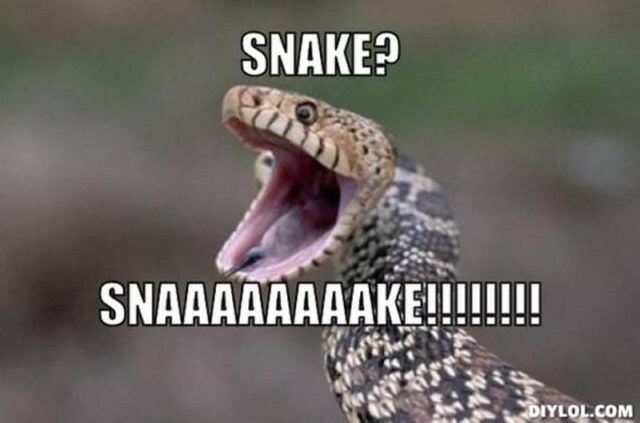 As there is no hockey in Calgary for a few days, here are some snakes to help fill the void. Last night's loss dropped the red snake below the black line for the first time since the conclusion of game #13. 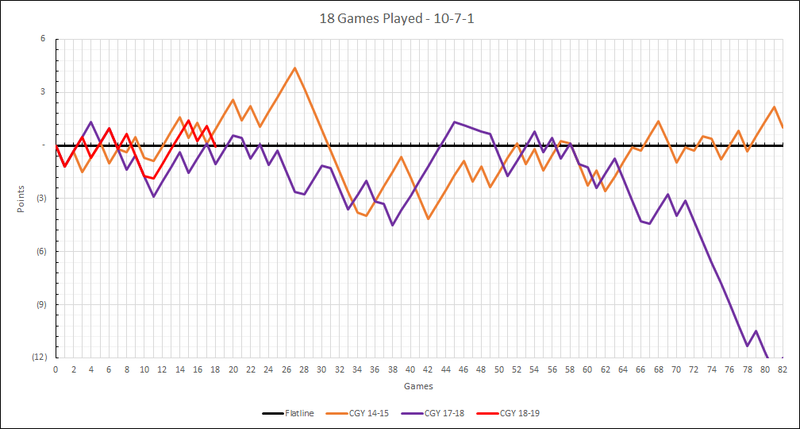 It sits 0.073 points below the black line, and 1 point above both the orange and purple snakes. It is on pace for 95 points. The on pace projection rounds to 96 points, but since the red snake is below the black line, I have rounded it below as well. 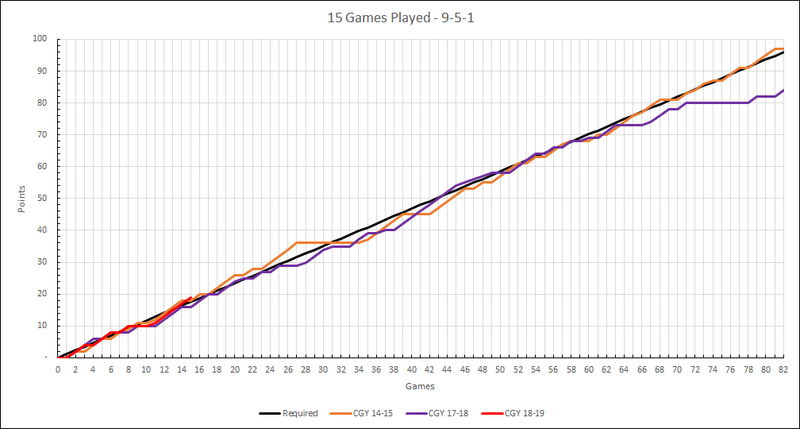 75 points in the remaining 64 games (1.172 PPG) are required to reach 96 points. A record of 37-26-1 would achieve that. The blue snake has flatted, or dropped depending on your snake's preferred flavour, over the last four games. It sits 2.902 points below the black line and 3 points above the orange snake. The red snake is 4 points above the blue snake, although it has played one more game. Last edited by puckedoff; 11-12-2018 at 01:08 PM. 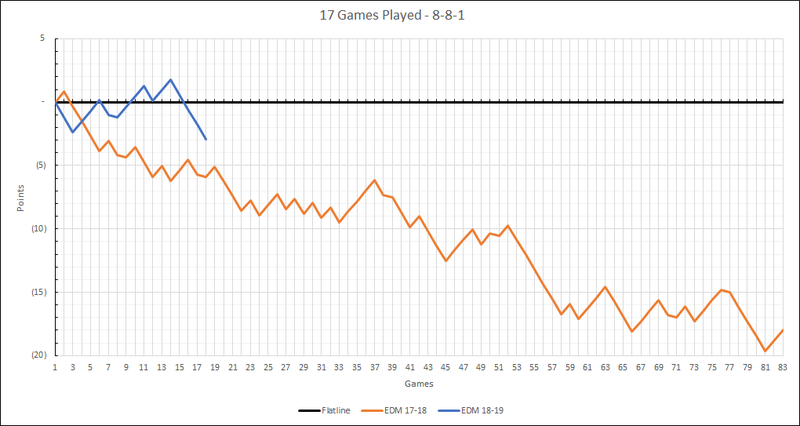 The Flames may have dropped off, but at least the Oilers are returning to form! I like your graphs, they're easy to understand.